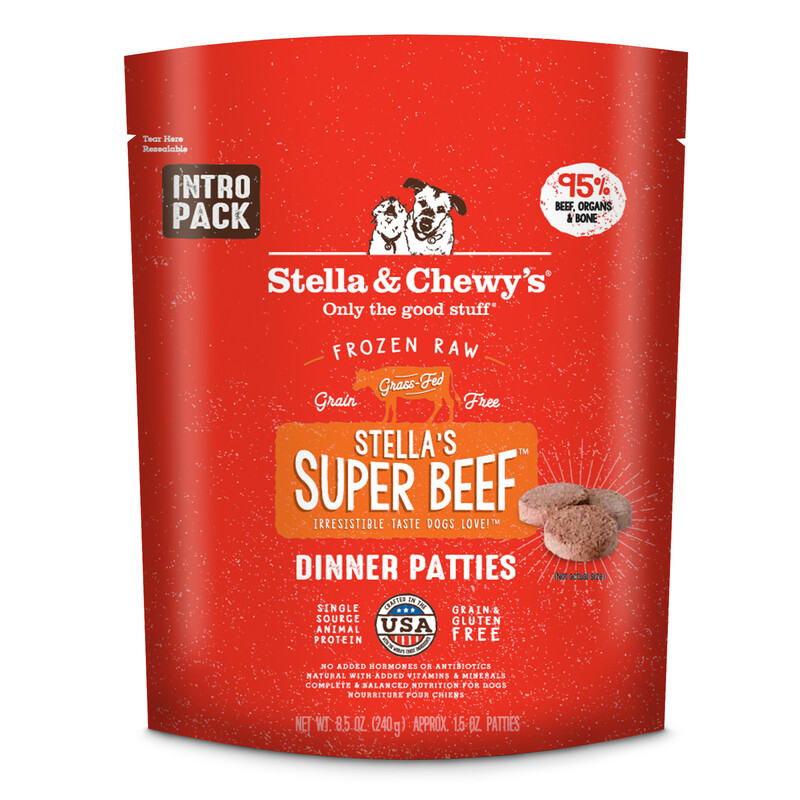 Our Dinner Patties should be kept frozen until ready to use. Thaw the next day’s portion in the refrigerator overnight (or for 4-6 hours) in a covered container; do not microwave. Some liquid when completely thawed is normal. Always have clean, fresh water available at mealtime. 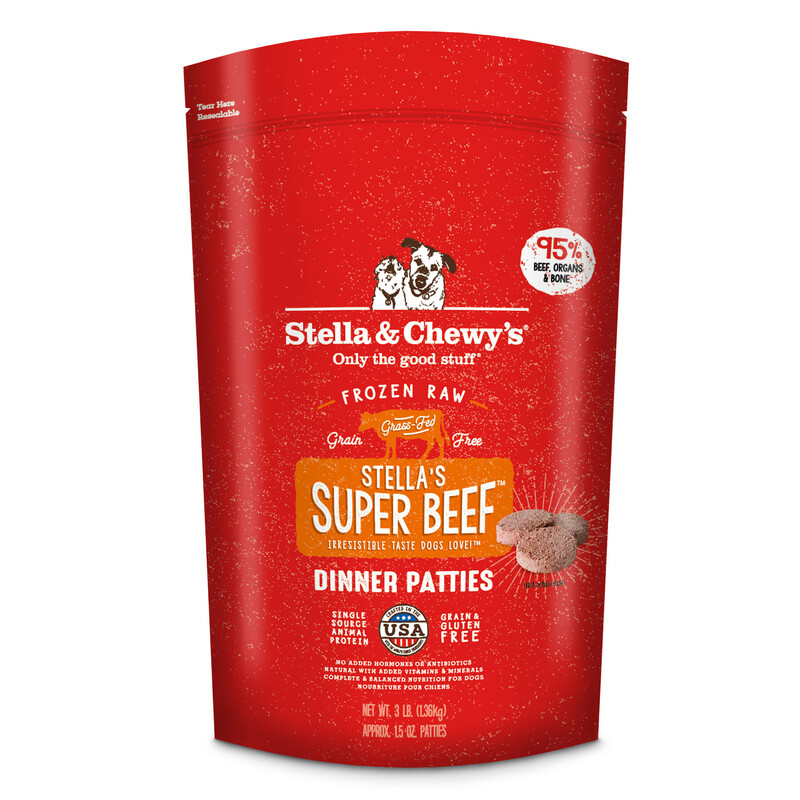 Optimal feeding amounts may vary with age, size, breed, and activity level. 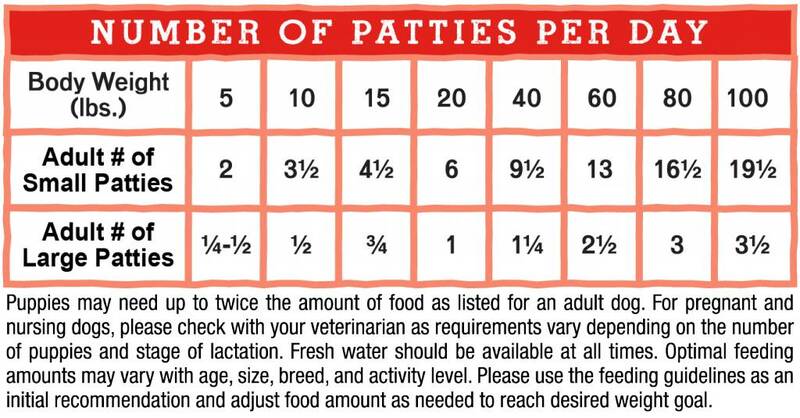 Please refer to the feeding chart as an initial recommendation and adjust food amount as needed to reach desired weight goal. 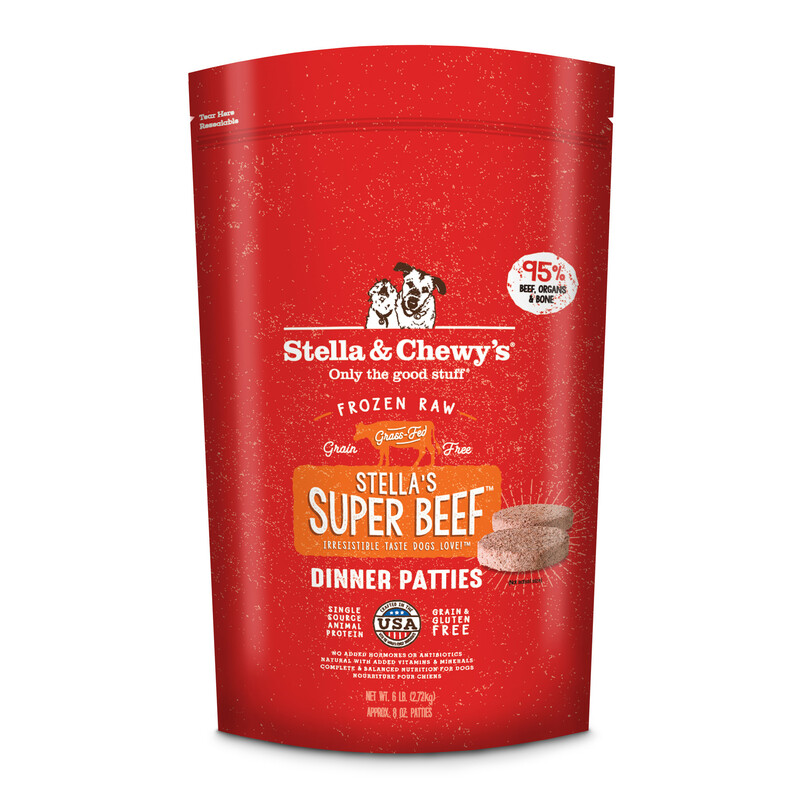 Super Beef Dinner Patties is formulated to meet the nutritional levels established by the AAFCO Dog Food Nutrient Profiles for All Life Stages.